this is a five microphone input – one line level output mixer. 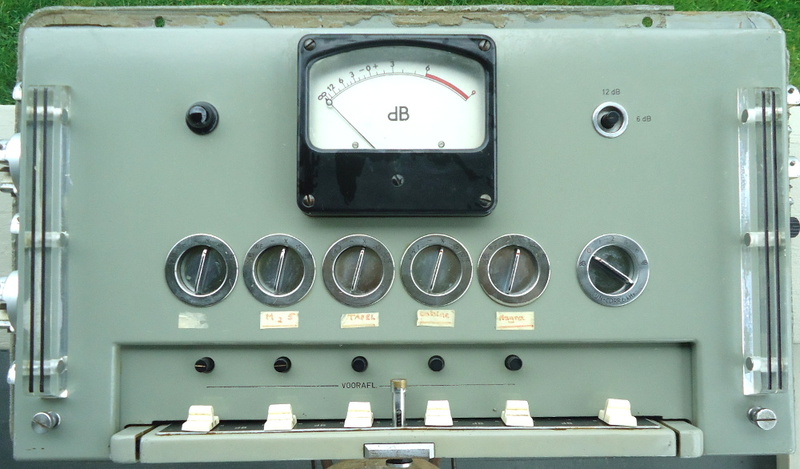 made by NRU ( Nederlandse Radio Unie ) netherlands in the early 1960s… i think. it was a super high end specicfication /price unit made for any outside broadcast application of the day. right thru to televised rugby matches. and ‘ it’s in the bag’. i saw this on trademe a month back. and surprise ! my tauranga client and friend damian lunson got it. so i get to play with it for a while. 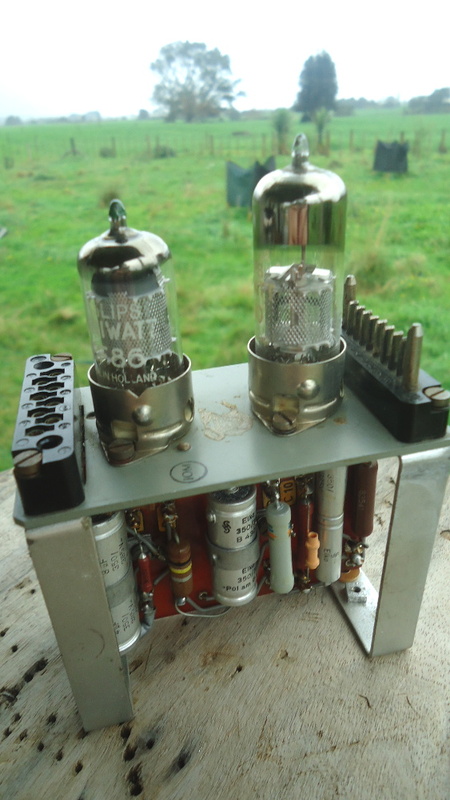 so far it seems like the building block 2 tube amplifiers are the gold. there are 8 of them – mostly the same. except their individual input and output topologies are messed with according to the functionality design. 5 are channel amplifiers with switched input mode and selectible amplifier gain. 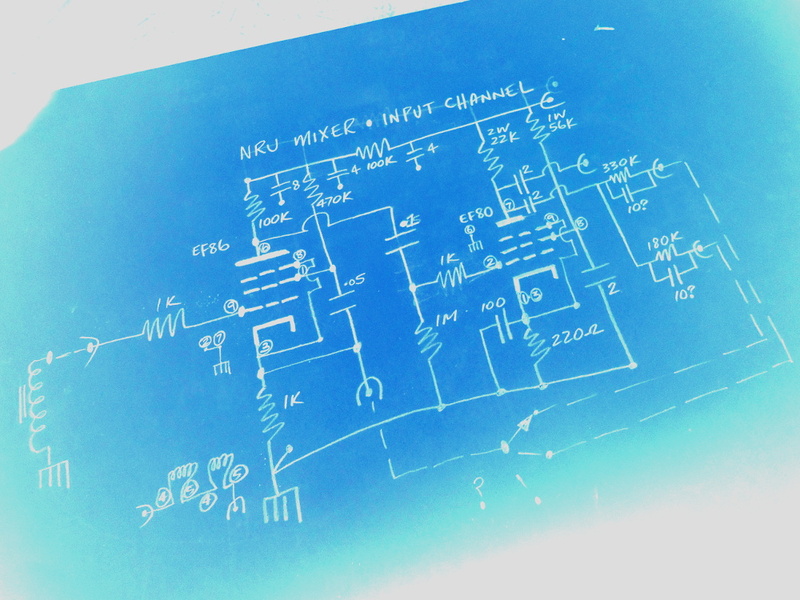 one is a mixture amplifier. one is an output amplifier. 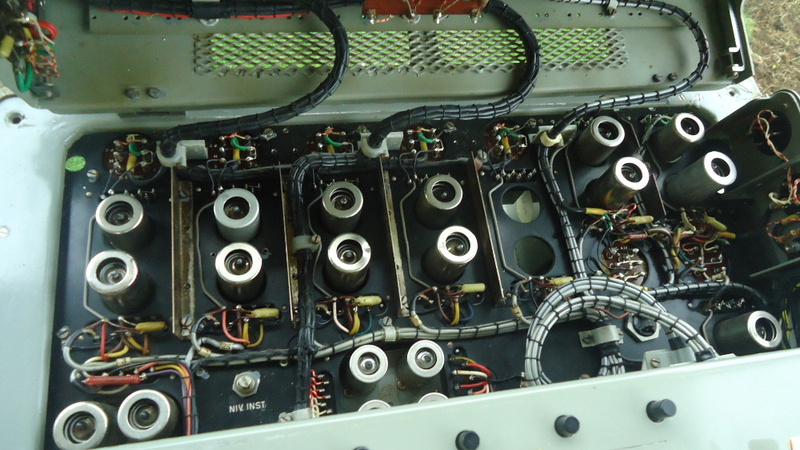 one is an afl (cue function) amplifier. the thing to do is to reverse engineer a module – draw one out – get it going – see how awesome it sounds. get familiar with the rest – draw out an overall layout – test the theory. and finally decide what the freak to do with it.